I had a friend visiting from out of town that shares the love for the outdoors. Decided the best option would be a day adventure, since the weather forecast was scheduled to be poor. 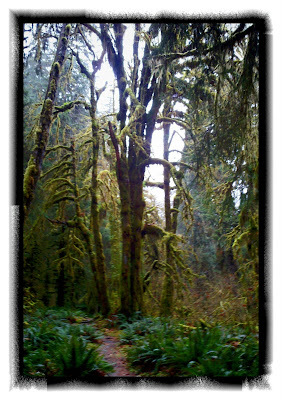 We would visit the Hoh Rainforest and then Rialto Beach in Olympic National Park. 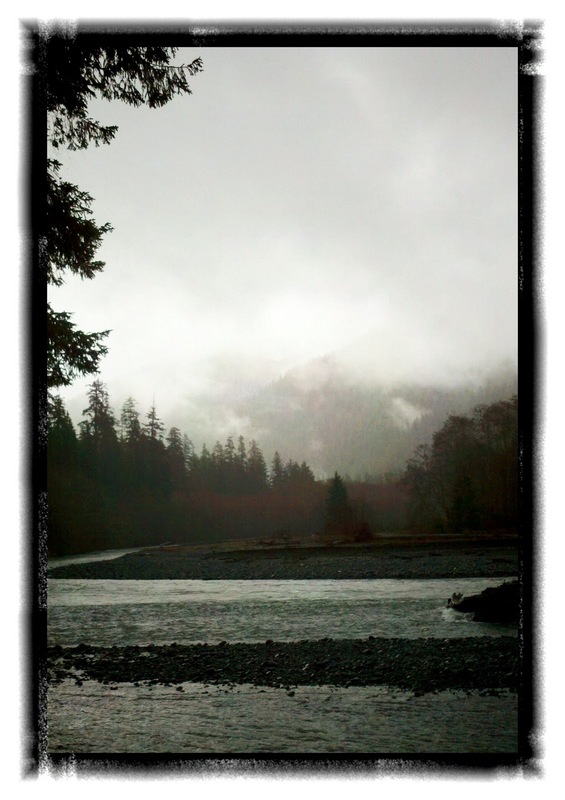 The Hoh River Trail leads to Mount Olympus and follows the river valley pretty much the whole journey. Endless massive trees, greenest moss, mud, flowing water and is one of my favorites to barefoot. The trail is mostly made up of soft mud, pine needles and roots. I have been in this rain forest many times the last few years and it amazes me on how much water is involved to keep everything so green. 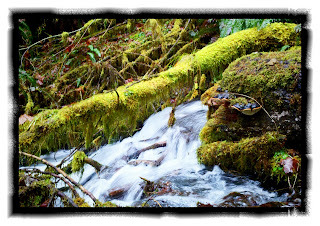 A certain section comes to mind where the whole section of valley floor turned into a creek flowing threw trees and over ferns. Our journey in the valley ended at Tom's Creek, where I feel that there is not much to see after that, but more of the same. 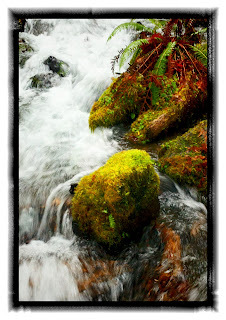 Enjoying a hillside of ferns with waterfalls that dump almost straight into the Hoh River. 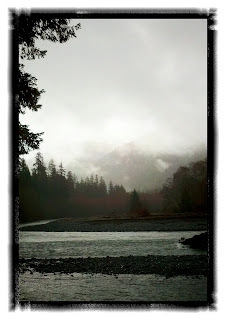 The highlight of the day also included seeing spawned salmon swimming up streams that were no more than a few feet wide. That was the only wildlife we seen all day besides for a elk on the drive out. Second half of the Adventure consisted of some exploring of the coastline. Rialto Beach to be exact, where I just spent some time a few weeks before. I suggest checking it out since it was Forecasted for 22' swells and stormy surf. It was quite invigorating to listen to the massive waves come in and feel ever rock under my feet. Walking in minimalist footwear is like getting a massage all day on the bottoms of your feet. Putting pressure and stretching your feet around the Round types of Rocks feels the best. Once we got toward 'Hole in the Wall' the tide was mostly out. We spend some time exploring the massive sea stacks and peaking into tidal pools were small fish and hermit crab were hiding. It made waiting for the sun to go down quite enjoyable. On the way returning down the beach we enjoyed the clash of sunset vs storm clouds; as the rain and wind pelted our backs. A perfect end to the rain forest to coast adventure. Overall this was a fine adventure to do in winter months. 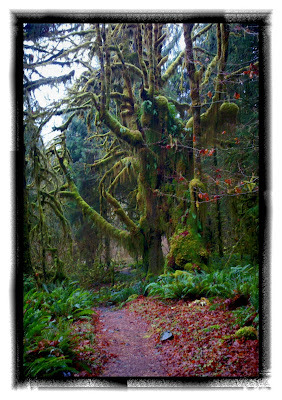 Even tho snow is falling in the mountains, there is still year around exploring to be done at lower elevations on the Olympic Peninsula.